They must last you a lifetime. Acute symptoms may indicate you could have a more serious problem. To relieve your pain and correct your foot problems whenever possible. To determine from your health history and a thorough examination what type of care is needed to give you healthy and comfortable feet. If you have any medical conditions, please bring along a list of your medications, or a recent repeat prescription form. We need to be aware of your medications and long term medical status, in case your healing ability is affected. Being prepared for your appointment will help ensure that Dr. Gotman has all of the necessary information to provide you with the best possible care. It also will help relieve any unnecessary anxiety you may have. First time patients should arrive early to complete registration. As an alternative, you can download and print the patient registration forms here. Then complete your paperwork from home and bring it with you. 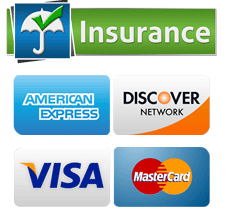 We accept most medical insurances and major credit cards. Contact Miami Podiatrist Dr Sandra R Gotman and her staff today to schedule your appointment. We are conveniently located in on SW 40th Street in Kendall.